Nothing can prepare you for the loss of a loved one and the grief that surrounds you. When you lose a loved one, you have to learn to live a life without them in it, but how can you when all you’ve ever known is to have them by your side? I have found that it doesn’t matter how a person passes, it is still incredibly hard to adjust to the new world that you are entering. When I lost my father, it was so sudden. I went to sleep one night and when I woke up he was gone. I never got to say goodbye or ask him the questions that I now wish I had the answers to. He just vanished from my life. He was my best friend, my daddy and I was his little girl, but I now I no longer feel that I am. It feels lonely and empty. You find yourself looking at random areas of the house, parts of the town or at anything that leaves a memory. You remember them alive, healthy and happy and being their perfect selves, the version you want to remember and that you wish was still here. Their scent still lingers, their mess is still scattered around the house. There is still their imprint on the sofa and their signature on documents. Really, it seems like they are not gone at all, they have just left the house for a little while. It’s very easy to start to make excuses, to find any reason that they may still be alive. You’ll hope and pray that this is all a bad dream, that if you pinch yourself you will wake up and you can give them a big hug. I so wish that I could just cuddle my daddy one last time. They say that death is the hard part, experiencing loss and having to hold a brave face at the funeral. To carry on and act like nothing happened because the world still turns, even when it feels like it has ended. I believe that the hard part is the time after their death, when you know that they are gone and that they are never coming back. When their assets are packed away and their bank account is closed, where every trace of them is removed from the world. It’s when you are celebrating Christmas years after and you look at the empty chair, or when something good happens to you and the person you want to tell, is gone. I still find myself in a state where I am still 18, where I expect to wake up in my old bed, go downstairs and see my dad dancing to the 80’s classics. I’ll close my eyes in the sun and see him gardening and notice the red sunburn on the neck that he always developed. It’s strange the memories we keep of our loved ones are so vivid and real, yet we can’t even remember their voice. It took me a long time to grieve, to understand the situation and to find the courage to let go of his hand. It’s now been four years and my world is a whole lot different, though I am not sure if that is a good or bad thing. I have since moved out of my home and got married, to a man who often reminds me of my father. I would love to think that my father is proud and I am sure he is. Life is easier now, I can smile and feel joy without feeling guilty, I can live my life and no longer feel like I died with my father. There is no rule book on grief, there is no check list. Grief is something that we just have to allow into our lives and work through on our own. Support is always a great thing, it’s important for keeping yourself afloat. But the way you grieve and manage it, that’s an individual thing. I have learned through the loss of my father that it is important to grieve in your own time and way. People may have expectations, you may be told to move on, but you must ignore that, this cannot be measured by time. One day, you will be able to wake up and live your life. A life that is different but it is a life nether the less. You will never move on, not really, because you went through a significant loss; you can however learn to live alongside their memory and enjoy the time you have left on this earth. I do feel good in myself today. Which is strange to say after suffering with depression for so long, I never thought my life would amount to anything other than the ‘black’ void I faced. Despite my battles with mental health and the heaviness that grief left me with, I enjoy my life and the success that has happened since my father’s death, because I have allowed myself to. It took a lot of work and patience on my part. I suppose all that can be said is that life will not always be bad, you will not always feel the pain that is left after loss. Things do change for the better. As Charlotte found, sharing your story can help. 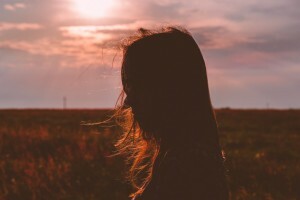 Connecting with those who understand, knowing you’re not alone, and finding validation for the thoughts, feelings and experiences that accompany grief can make all the difference in how you’ll cope. Find support, make connections and see and share stories at www.griefincommon.com. And to read more from Charlotte, find her here at: https://charlotteunderwoodauthor.com.